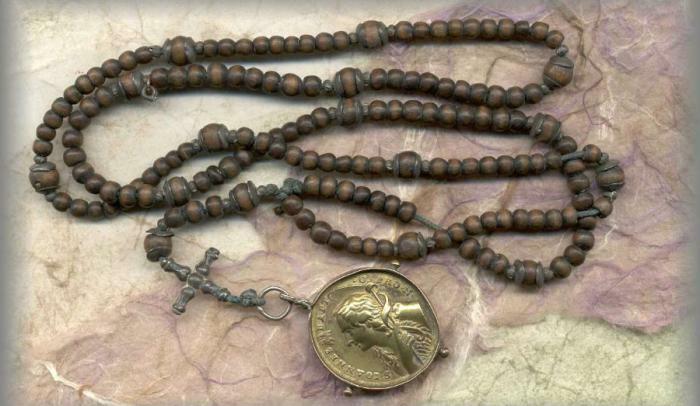 Rosaries are used for praying, but did you know the Rosary has quite the history? Prayer knots and beads came before what is now recognized as the Rosary and several variations exist among them. 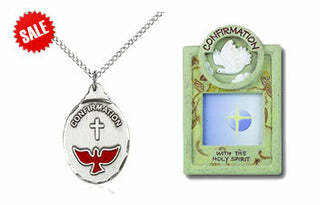 The rosary is an important part of Catholic culture. LOS ANGELES, CA (Catholic Online) - Rosaries did not always appear as they do today, and though it is possible to make your own using simple string and beads, there are those that were crafted with beautiful gems and gold. There are several well and little-known rosaries around the world so Catholic Online has brought to light the top 5 rosaries. How many do you know? Prayer beads from the 1700s (Rosary Workshop). There is much debate over the origin of the Rosary as a prayer but prayer beads originated in Easter religions in India in the third century BC and knotted prayer ropes were used in Christianity dating back to the 3rd and 4th centuries. Some Catholic traditions believe the Rosary was given to Saint Dominic when he had a vision of the Virgin Mary, but others believe there was a more gradual development that was the result of repetition of Marian prayers. 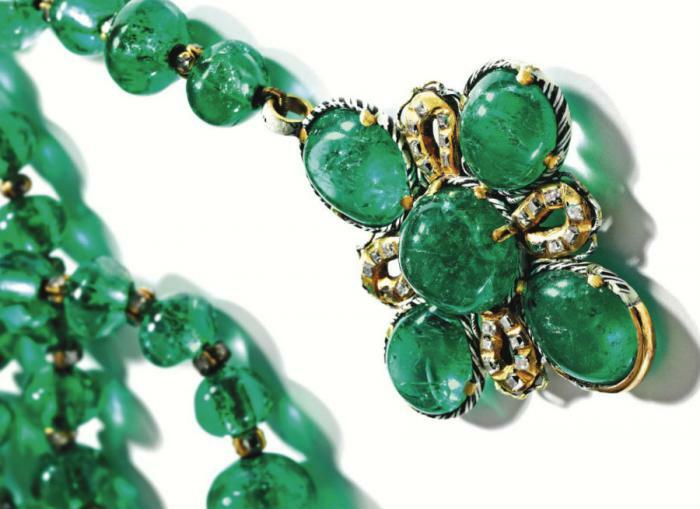 Composed of 70 emerald beads spaced by gold rondelles set with table-cut diamonds, suspending a pendant set with five double-cabochon emeralds and numerous table-cut diamonds, within gold surrounds applied with black and white enamel, length 17 inches including the pendant (Sotheby's). 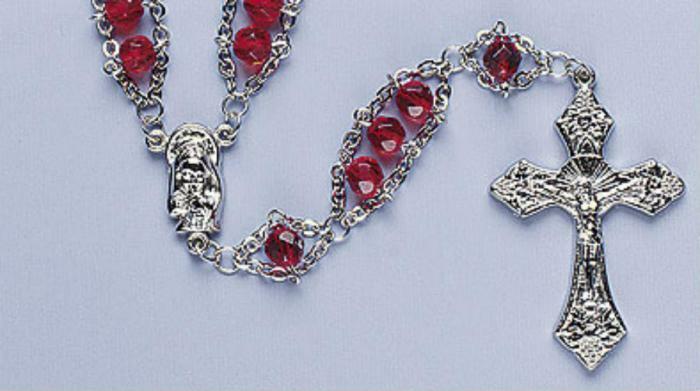 The world's most expensive Rosary was sold at auction for $842,500, which was triple its originally high estimate of $250,000. It was from the Saxon Royal Family and is dated to the late 17th century. It is a German piece made of emerald, diamond and enamel. The Ladder Rosary is the most unusual, but still functional and strikingly-beautiful rosary. The Ladder Rosary appears quite unique Rosary in popular use and is also very beautiful. According to legend, St. Francis de Sales had a vision of two ladders reaching toward Heaven. One ladder was steep and difficult, while the other was shorter and safer. He noticed the second ladder was held by the Blessed Virgin. He then heard Jesus say, "Tell your people to come to me by this ladder, by way of My Mother." 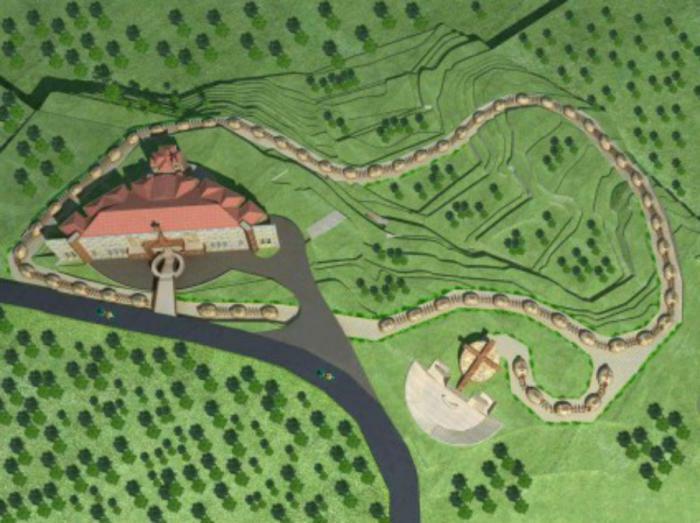 The world's largest Rosary can be found at the Catholic diocese of Tagum City at the Christ King Cathedral. The beads are made from magcono, iron wood, native to the mountains of Davao Oriental and Surigao del Sur. 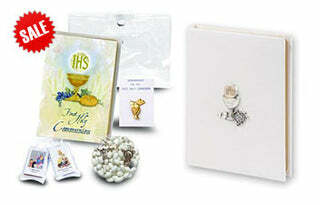 Each weighs just over 77 pounds (35 kilograms ) and the entire Rosary weighs 6,206 pounds (2,815 kg). The most controversial Rosary (Met). The Rosary is made of ivory beads and was created in the early 1500s in Germany. 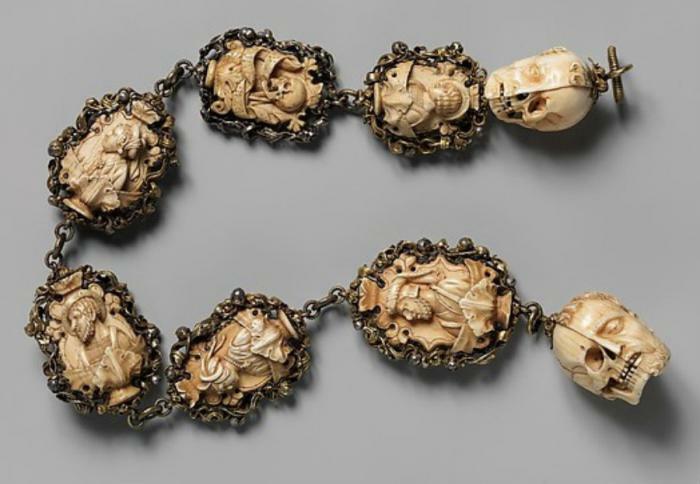 The Metropolitan Museum of Art classified it as a Rosary in the collections of the Met despite it being over 2-feet-long, with each of the eight beads measuring approximately 2-inches-long by 1-inch-wide. Praying the Rosary is an important part of communing with God. 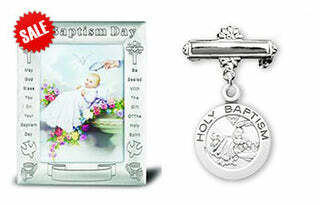 To purchase a Rosary of your own, visit CatholicShopping.com.